The main objective of a written employment agreement is to provide certainty of the terms and conditions of an employee’s employment. 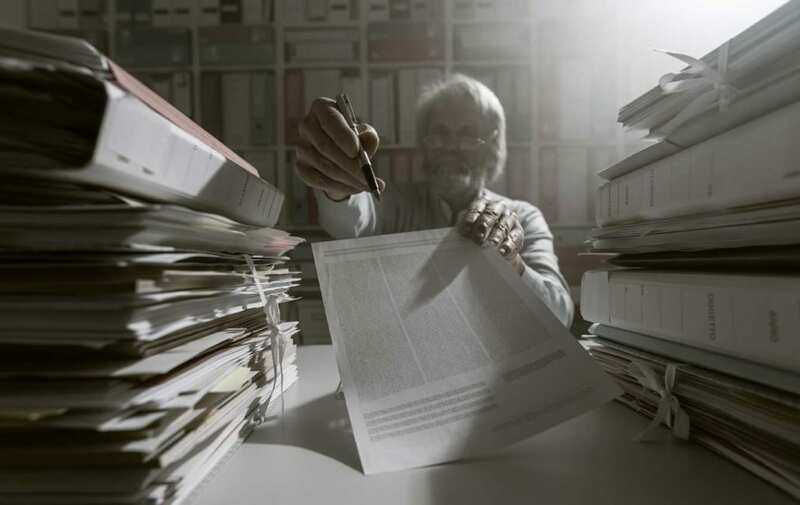 However, if the agreement contradicts the entitlements set out in the applicable employment standards legislation, such as the Ontario Employment Standards Act, it will be declared void from the outset. In the recent case of Garreton v Complete Innovations Inc. 2016 ONSC 1178, the Court held that a termination clause’s potential future violation of the ESA is sufficient to have the agreement deemed unenforceable. In that case, Ms. Garreton was employed by Complete Innovations for just over two years. She was fired for cause after grabbing a co-worker by the wrist for trying to take a bagel during a training session. The Divisional Court ruled that Ms. Garreton’s employer did not have cause to dismiss her and found that the termination provision contained in her employment agreement was unenforceable, thus entitling her to reasonable notice pursuant to the common law. Justice Patillo determined that the termination clause in question failed to allow for the payment of statutory severance pay (a requirement of the ESA for those who have worked for that employer for at least 5 years). Thus, while Ms. Garreton was not entitled to receive severance pay given her length of tenure (just over 2 years), the termination provision would have been unenforceable for an employee with 5 or more years of service. 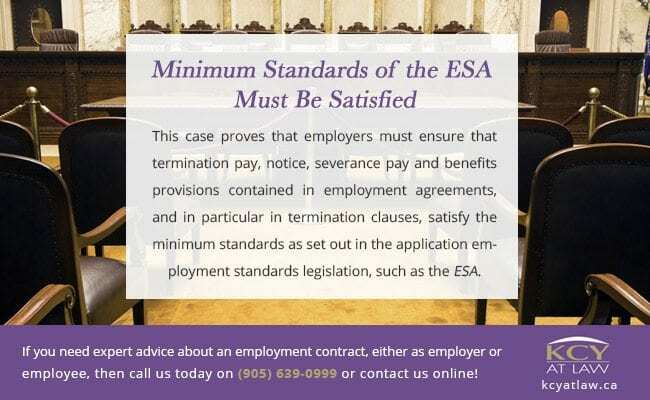 This case proves that employers must ensure that termination pay, notice, severance pay and benefits provisions contained in employment agreements, and in particular in termination clauses, satisfy the minimum standards as set out in the application employment standards legislation, such as the ESA. 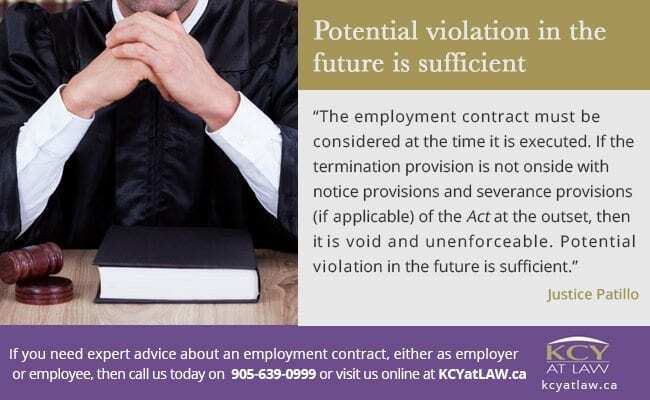 If you or someone you know has signed an employment contract with a termination clause similar to the one found in Garreton and are unsure as to your rights and entitlements in the event of a termination, we at KCY at LAW have the experience and expertise necessary to effectively assist in handling your case and ensuring your legal rights are properly looked after. Contact KCY at LAW right now at 905-639-0999 and book a consultation!